What's black, hot pink and yellow you might ask? Well, we would answer with the WHIRLYBIRD! With helicopter nose cone recovery along with parachute rocket recovery, the Whirlybird is fun to launch and recover! Teamwork makes for even more fun as you collect the two landed bits. Whirlybird is easy to build no matter what your experience level! 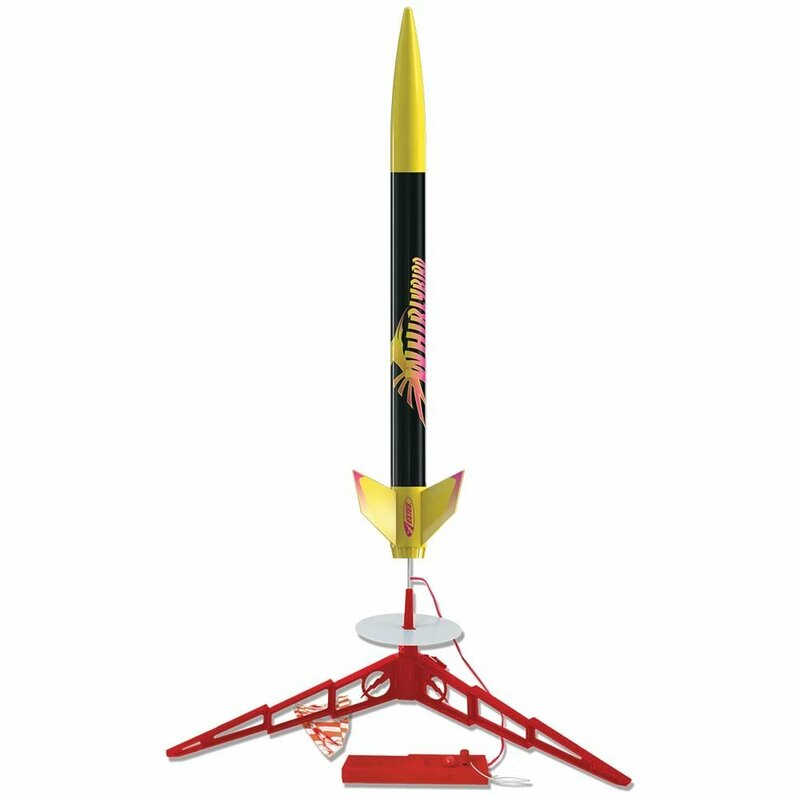 Have this rocket on the launch pad in a quick afternoon and enjoy countless launches! And powered on a C6-5 engine, your Whirlybird can reach heights of 650 feet! Even higher with a Klima D9! All rocket parts are pre-colored and glue quickly together with some tube type plastic cement. We recommend CA because of lower abuse potential. To bring your rocket back time and time again, we have recommend a Recovery Upgrade Kit B with strong Kevlar harness, ripstop nylon parachute and a swatch of permanent Nomex permanent wadding.